Counting cards is simple, but can take time to master. We’ve won millions from casinos through the craft of card counting. 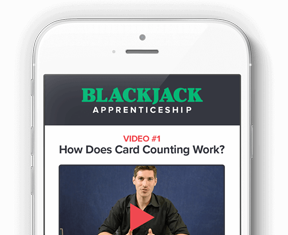 We can walk you through how to count cards in blackjack in just a few easy steps… Most people think card counting has to do with memorization. Fortunately for those of us with terrible memories, it has nothing to do with memorizing how many queens or 3’s are dealt out of the shoe. 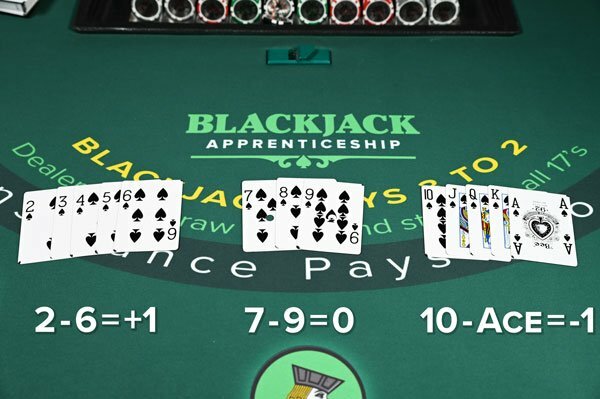 In Blackjack, it is favorable to the player when there are more Aces and 10 Value Cards (10’s, Jacks, Queens, and Kings) remaining in the shoe. So card counting is simply using a system to keep track of the ratio of low cards to high cards. As each card is dealt, you will either add 1, subtract 1, or do nothing based on each card’s value. Keep A Running Count By Adding Or Subtracting Every Card That You See In Each Shoe. EXAMPLE #1: The running count for this round is 0 (zero). EXAMPLE #3: The running count for this round is +1. In an attempt to thwart card counters, casinos began using multiple decks. Nice try, Casinos! To use our running count in a multiple deck game, we simply have to translate our information into a “True Count” or count per deck. We’ll break down each step below. Having a +5 running count with 6 decks remaining is a completely different scenario from having a +5 running count with only 1 deck remaining. In the first instance, there is less than 1 additional high card per deck remaining so the player doesn’t have the advantage yet. It’s not just the number of extra high cards that matters to a card counter; it’s the concentration of high cards compared to the concentration of low cards. So if you had that running count of 5 with only 1 deck remaining, we know that there are 5 extra 10’s and Aces in the remaining 52 cards, which puts the edge in the hands of the player! That’s why the “True Count” is so valuable. When using perfect basic strategy and card counting, we are able to use this information to bet according to our advantage. That’s how we card counters make our money! The true count will also inform us of when to change our playing strategy. We call these “playing deviations”. We provide free charts of playing deviations to our members. The true count will tell us what our advantage is at any point in a multiple deck blackjack game. To calculate our True Count, we simply divide our Running Count by the number of decks left to be dealt. In a standard 6 deck blackjack game each true count will move the house edge half a percent toward the player’s advantage. So a true 1 would basically erase the house edge and blackjack would be an even game. A true 2 puts the player advantage up to about half of 1 percent and the house edge becomes the player’s edge. A true 3 would make a player advantage of about 1% and so on. This can vary greatly depending on the rules and how many cards get dealt before the shuffle. 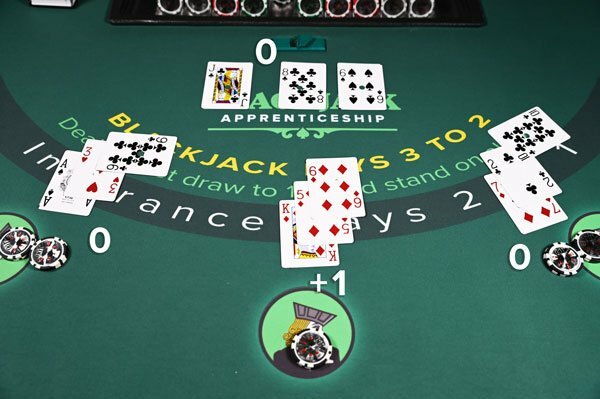 Keeping a running count and a true count are essential to knowing when the house edge flips in favor of the player, but if you don’t use that information to change how you play, you’ll just be playing a mentally exhausting game of blackjack. In order to capitalize on the information you get from counting, you have to raise your bets as the true count rises. You want to bet really big when the cards favor the player and really small when the count is negative or neutral and doesn’t favor the player. Bankroll management and proper betting strategy can get complicated, and it’s easy to cause a lot of damage to your bankroll if you don’t properly understand how to bet. This article gives a good overview of the things involved: Recommended Blackjack Bankroll. So that's it? I can beat casinos now? Not quite… It’s a bit more involved than this page alone could teach you. Get the full scoop, start our Mini-Course (access it below). 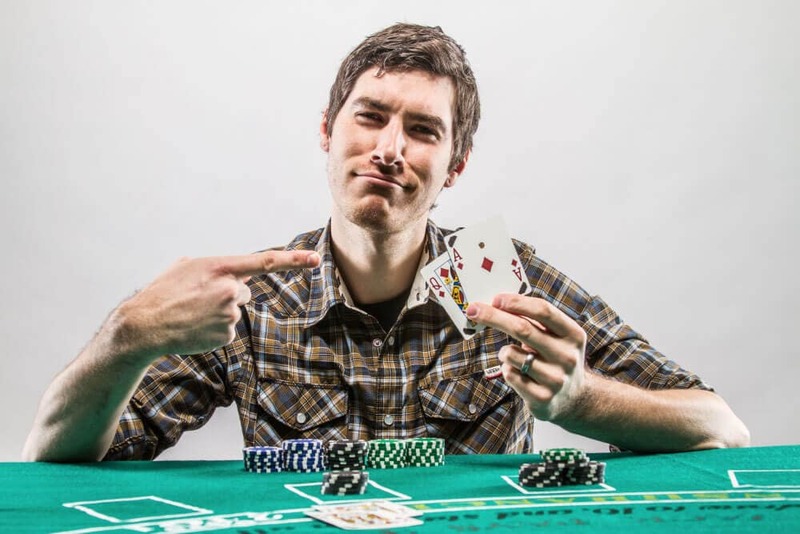 Why Does Card Counting Work? 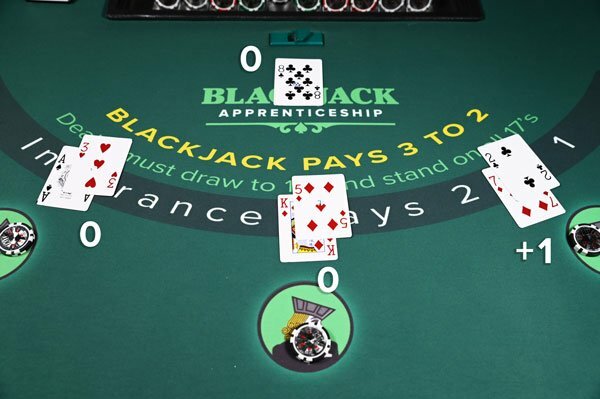 When a remaining shoe has a higher concentration of tens and aces, statistically there will be more blackjacks dealt. 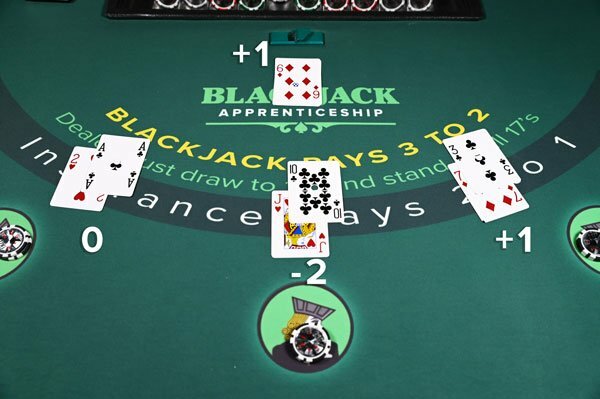 Blackjacks Pay 3:2 (150% of your bet), and the dealer will bust (go over 21) more often. Conversely, when a higher concentration of small cards remain, fewer blackjacks are dealt and the dealer is much less likely to bust. Because of those mathematical realities, a card counter can keep careful track of the concentration of the shoe, placing bigger bets when more high cards exist and smaller bets when more low cards exist. It’s a simple concept, but the reality of executing the strategy perfectly is more complicated and requires expert advice. What's the History of Card Counting? Should I Become a Card Counter? Beyond the weeks of training, card counters must learn proper money management, how to avoid detection from casino surveillance, know which rules to avoid, and how to handle the financial & emotional swings. So is it worth it? There are lots of ways to make money. We are the first to admit — card counting isn’t for everyone. We’ve earned millions at blackjack, and training many people to beat casinos for millions. 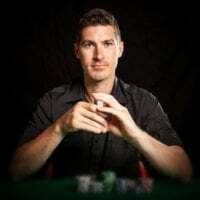 However, it’s up to you to master the craft and take down the house… To find out more about whether card counting is a good fit for you, here is an in-depth article about the characteristics we believe are necessary to become a successful card counter.